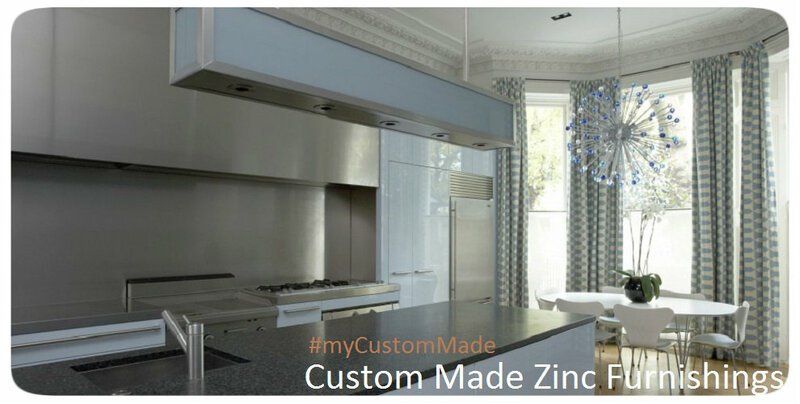 Click the button below to add the Zinc Range Hood "Quebec" to your wish list. Zinc range hood "Quebec" design shown on the product page has been manufactured in smooth black metal. The appliance is available also hammered or polished. You can select from the menu variety of options. They include among others adding our discount range hood insert equipped with 200 CFM fan, light and filters. It can be viewd on the secodary picture. Or customzing this either natural or black metal zinc range hood interior for your own equipment.